Exciting News! 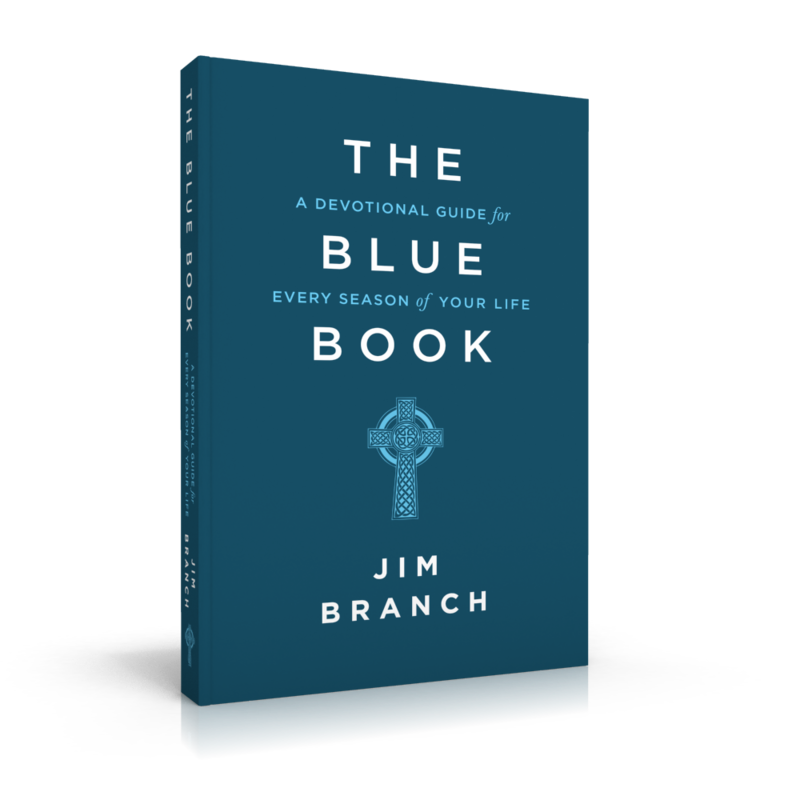 The Blue Book is now available on Amazon! And not only that, but it also has a bunch of new content! I've been working for the past year or so to write an opening reflection for each chapter and I'm really excited about the end result. I hope you will be too. So please spread the word. 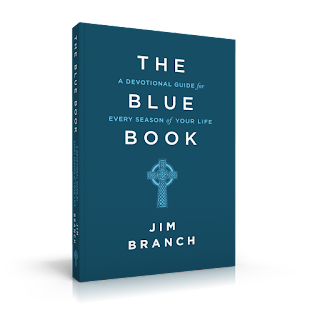 Tell your friends that the strange blue devotional book that has always been so hard to find, is hard to find no more. Hi friends. 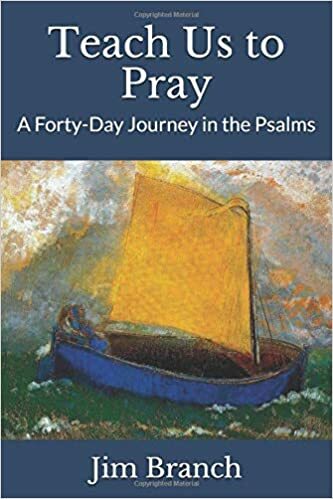 Thought you would want to know that my new book Teach Us to Pray has just been released on Amazon. Tell your friends! I don’t know about you, but I’m not a big fan of change. I mean, I eat the same breakfast every day. And when I am in town, I spend my time with Jesus in the exact same spot. I do my best writing when I am at my dining room table. And when I have to travel I can’t wait to get back home to my normal routine. So needless to say, when my dad passed away last week it was a bit of a jolt. It had been a long, hard year for him and he was ready to go, but once he was gone it was a bit disorienting. One day you have parents and the next day they are both gone. And as glad as I am that they are with Jesus—and finally alive and free—it is a bit strange looking ahead to life without them. One of our friends called it “the second empty nest.” And that’s exactly what it feels like. I will miss my parents immensely, but at the same time it also opens the future to certain possibilities that were just not available during the past couple of years as I had to help care for them. So while it is disorienting and frightening, it is also leaves me curious and hopeful. What does God have in store for this next season of life? It feels a little like swinging on a trapeze bar. You enjoy the security and the stability and the safety and the comfort of the bar you are currently holding onto, but in order to experience the trapeze the way it was meant to be experienced you must, at some point, let go of the bar you are holding onto and take hold of a bar that has not yet come into view. It is impossible to take hold of the new if you are unwilling to let go of the old. And that can be incredibly scary, because for an instant you are hanging in midair. You see, in the spiritual life we must constantly be willing to let go of the old, in order to take hold of the new. We can’t grasp the new bar until we are willing to let go of the old one. Or, as Jesus once reminded us, we can’t put new wine in old wineskins. Our old ways of being and seeing cannot contain the new life of the Spirit that God desires to pour into us. So in order to fully embrace the new, we must first be willing to fully let go of the old. That’s what the resurrection is all about. The only question is, are we willing? I have to admit that during Eastertide I often rush right past the empty tomb in order to get to the resurrection appearances of Jesus. But when I do so, I miss the opportunity to be both amazed and confounded by exactly what Mary and the disciples discovered as they arrived at the tomb early on that first Easter morning. Just imagine what must have been going on within them as they tried to understand and explain and come to terms with what had just taken place. And even though Jesus had been telling them about it all along, the reality of what had just happened was far beyond their wildest dreams or best explanations. You see, the empty tomb shows us that God is forever busting out of the tiny boxes we try to put him in. He cannot be confined or contained. He will not be controlled or manipulated. He refuses to be captured or tamed or domesticated. He is always wild and free and alive. We never quite know how or where or when he might show up next, so we have to be awake and alert and attentive. He might show up in the way, or at a time, we least expect it. The tomb could not contain you, Lord Jesus, and neither can we. Forgive us when we try. Be wild and free and alive in our lives today and every day. Amen. Who am I? 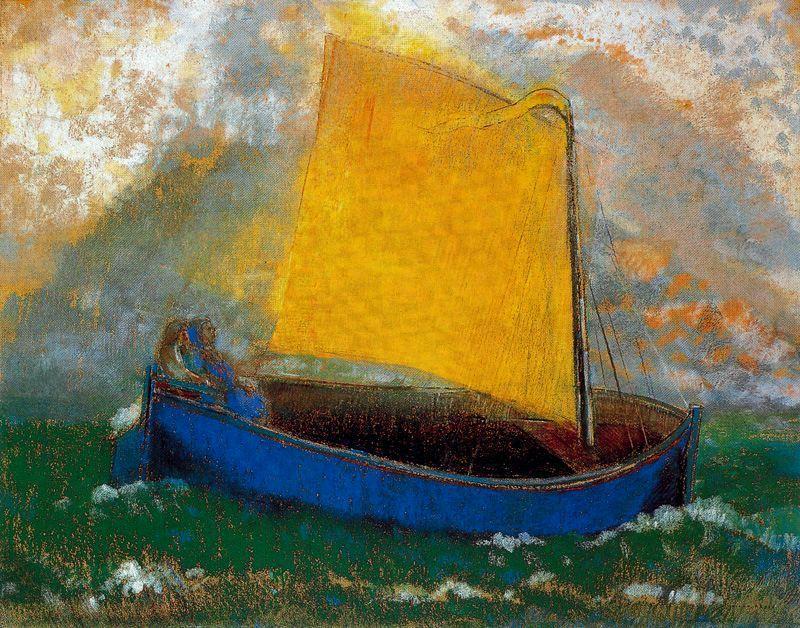 All of life, it seems, is a continual journey to find the answer to that question. It is the force that drives us and the conundrum that plagues us. Ever since the Fall, when we became disconnected from the only One who can really give us the answer to our deepest questions of meaning and purpose, we have struggled to come to terms with our true identity. Who are we? And what makes us worth loving? We spend our whole lives trying to answer those questions. The problem is that we seek an answer in places that can never fully provide one. We look to the world to tell us who we are, rather than looking to our God. And the truth is that our identity can never be achieved or manufactured or constructed, it can only be bestowed. And it can only be bestowed by the One who made us, by the One who dreamt us into being. But instead of listening to the Voice of Love, we listen to so many other voices. We listen to the voices of our world and our culture who tell us that we are what we do, we are how we look, or we are what we've got. We listen to the voices of our anxiety and insecurity and fear. Or we listen to the voices of our pride and our arrogance and our adequacy. All of which lead us on a wild goose chase, for none of these voices can tell us what we most deeply long to hear. None of these things can satisfy the deepest longings of our souls. So we spend our days trying to become somebody, rather than simply enjoying the fact that (in Christ) we already are somebody. We spend our lives trying to make a name for ourselves, when God has already given us a name, one that he has chosen especially for us. We work and we sweat and we perform. We measure and we compare and we compete. We fret and we toil and we strain. We read books and take tests and go to workshops. We listen to speakers and webinars and podcasts. We are so thirsty to know who we really are that we will believe anyone who seems to have a compelling answer. We are bound and determined to find an identity, even if we have to beg, borrow, or steal one. But the truth remains that only God can tell us who we really are. No person, nor number, nor acronym can do that. At best they can only describe what we have become as a result of the pain and heartbreak of living in this broken world. They can help us identify the fig leaves that have worked for us thus far as we have attempted to hide our nakedness and our fear and our shame. For example, contrary to popular belief, you are not a number. Your enneagram number is not who you are. It is what you have become. It is just another "coat against the cold," to borrow a phrase from Frederick Buechner. It is just another "dragon skin," (to borrow an image from C. S. Lewis) that must be peeled away and discarded. In the words of the creator of the enneagram himself (Oscar Ichazo), the nine personality types are merely "ego fixations and aberrations." They are what we have become as a result of living in a fallen world. Only God can tell us who we really are. Only Aslan can cut through all of the layers of the fake and the false to get down to what is real and true. Don't get me wrong, the enneagram can be incredibly helpful in "taking off the old self and its practices" (Col. 3:9), but only Jesus can give you a new (true) self to become. Moses was an Israelite who was born and raised in Egypt. We are not told a lot about his family. We do not know if he ever knew his father, and we do not know exactly how long he knew his mother. The one thing we do know is that the daughter of Pharaoh was the one who named him and raised him. In fact, she named him Moses because he was drawn out of the water. But in Egyptian, the name Moses simply meant son of. As in, son of no one, son of someone, son of anyone. You fill in the blank. So Moses grew up not knowing who he really was. Thus, it was certainly no mistake that when he came to the burning bush and God told him that he was sending him to deliver the Israelites, Moses' first question was "Who am I?" for he really didn't know. And God answered that question in such an amazing way. He answered it not by telling Moses who Moses was, he answered it by telling Moses who God was--I am. He did that because we can only know who we are if we first know who God is. Who I am depends solely on the great I Am. Our being is derived from his, not vice versa. Any attempt to know our own identity apart from God is fruitless. I can only know who I am in relation to knowing who he is. So the more I get to know God, there more likely I am to know my truest and best self, the one made in his image. Jesus rode into Jerusalem fully knowing all that awaited him there. Thus, we too must endure the pain of the cross, in order to experience the joy of the resurrection. Thank you, Lord Jesus, for riding into Jerusalem—fully knowing all that awaited you there. Help us, this week, to follow you all the way to the cross, and then on to the empty tomb, that we too may die and be raised to new life.